Don’t leave her in the sunlight! Watch out for her fangs as you bring Vampire Amy to life! Just kidding, she doesn’t bite ;). 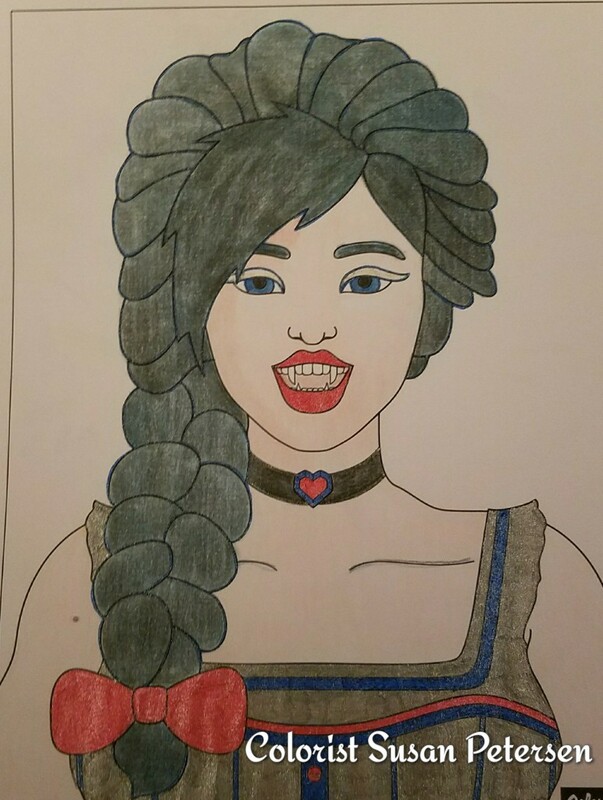 I loved coloring Amy the Vampire. She's a sassy and fun little vampire to color. Great for all skill levels.